We need images that lift us up! In times of feeling down we need an uplift. Climbing a mountain the rain is eased by a break in the clouds, and our eyes are lifted to the summit. Jesus speaks today that when he is lifted up, we will be drawn towards him. The lifting up he refers to is the lifting up on the cross. This sign of shame and torture can lift our hearts. The uplift of the cross is to draw us to him in faith. It is also to be lifted up to the greatest love ever lived, and that ‘God so loved us as to give us himself’. We need images and stories that lift the heart. What are our uplifts? Humour, friendship, trust in each other, prayer. Family memories of love and sacrifice. Courageous deeds which changed the world. Many like this are signs of the life of God. All are part of Jesus’ action of drawing us to himself. 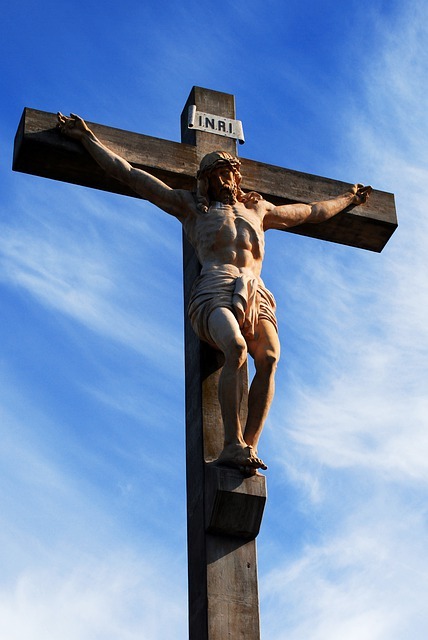 Our Lenten prayer and sacrifice is to lift our sights to what is eternal. At Mass each day we are invited to lift our hearts, and we promise to raise them to the love of God. We believe and know that the death of Jesus is not final, but brings new life. We allow these weeks deepen this faith and hope in ourselves. Lord, may your will be done on earth as in heaven. This entry was posted in Gospel of John, Gospel Reflection, Liturgy Resources, Prayer Resources, Scripture, Year B and tagged Donal Neary SJ, Faith, Gospel Reflection, Jesus Christ, Love, Sunday Gospel Reading and Reflection.